The stories of great figures in Christianity still inspire people today. 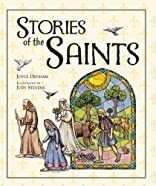 Joyce Denham tells the tales of fourteen major saints, from Bible times to the late Middle Ages. For each one she gives a short historical introduction and then retells a memorable episode from their life - one which shines a light on the work and wisdom for which they were most loved and remembered. The book, which is illustrated with medieval-style tinted wood-cuts, ends with a short section giving more information about each saint, with the dates of the Feast days which celebrate each of their lives. Saints mentioned include from the Bible: Mary, John the Baptist, Peter, Mary Magdelene, Stephen, Paul; saints from Christian history (third to fourteenth century): Lawrence (Italy), Martin of Tours (France), Genevieve (France), Columba (Ireland/Scotland), Bathild (England/France), Francis of Assisi, Elizabeth of Portugal, Bridget (Sweden). The book should appeal to children and be a useful resource for primary school teachers and parents. About Joyce Denham (Author) : Joyce Denham is a published author and an illustrator of children's books. 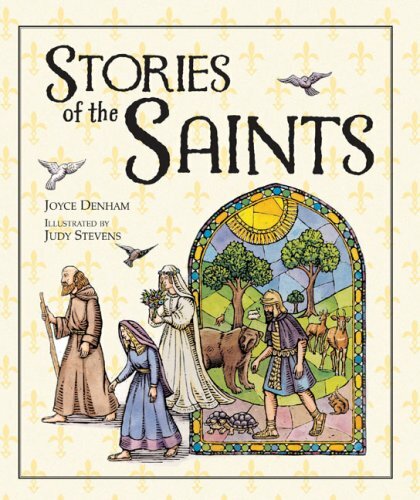 Some of the published credits of Joyce Denham include Saint Francis of Assisi, Stories of the Saints. About Judy Stevens (Illustrator) : Judy Stevens is a published illustrator of children's books. Some of the published credits of Judy Stevens include Stories of the Saints, Magic Mother Goose (Magic Window Lg Format).